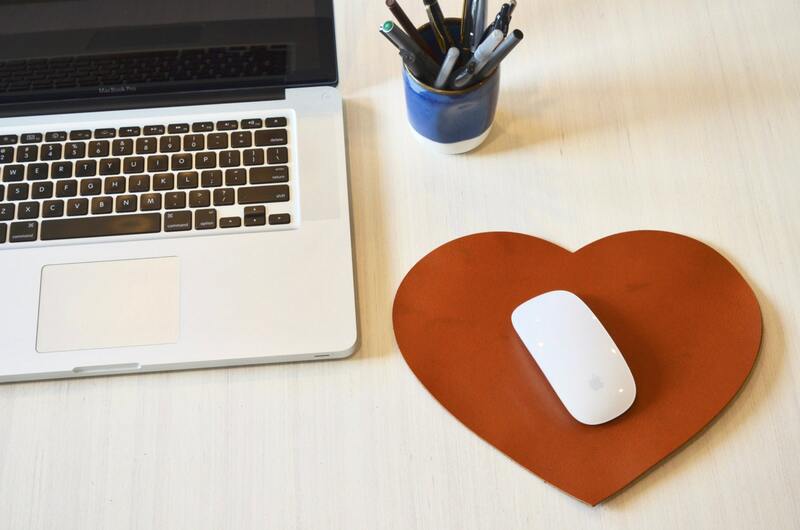 Leather Heart Mouse Pad - Choose From Black, Caramel Brown, or Chocolate Brown. Free personalization available. 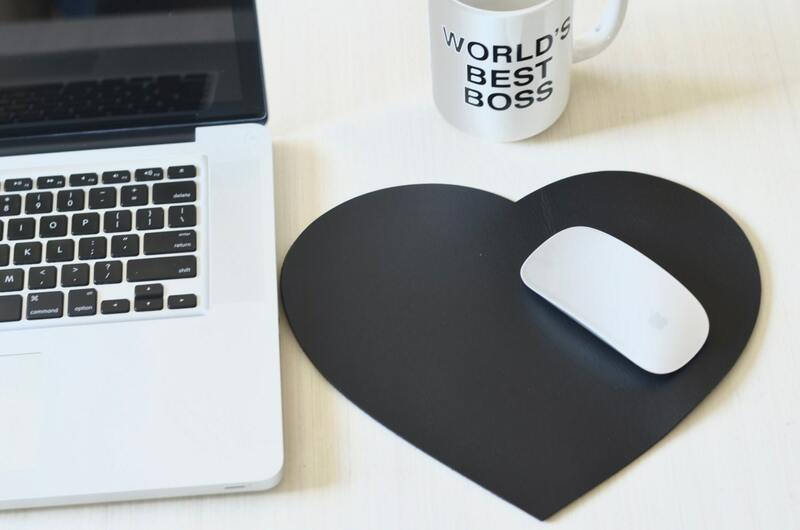 Looking for the perfect gift for a working professional? A stay at home mom who needs to know you are thinking of them? A traveling dad who is hard to buy for? A college graduate who is starting their first job? 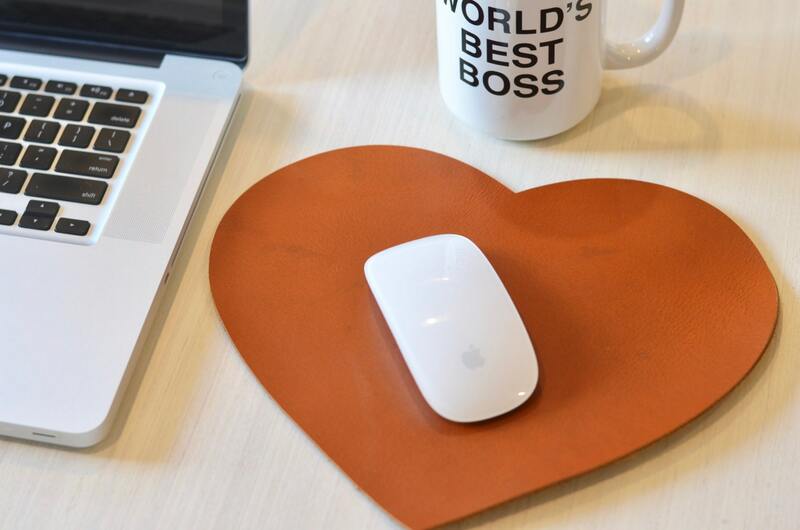 These leather heart mouse pads make the perfect gift! Each one is crafted from thick, genuine 6oz leather. Choose from black, caramel brown, or chocolate brown. The top of each mouse pad is smooth and makes computer work fun and trendy. The undersides beautifully reveal the grain of the leather and are "semi-slip" proof. Would you like your mouse pad personalized? We do offer most personalization free of charge and would be happy to add a name or initials along one edge. When you place your order, simply leave a note with the order about how you would like the personalization to read and we will make sure to include it. Need a bulk amount for the whole office or family? Contact us for a custom quote. Each mouse pad is 10.75" wide x 9.5" tall (widest and tallest points). These mouse pads will work with MOST optical mouse and "old style" ball set-ups. 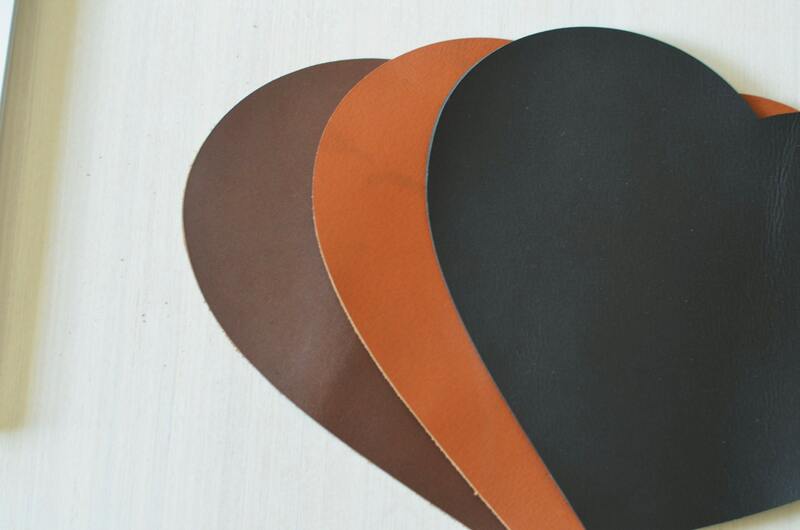 Please note that, as these are made from real leather which is a natural material, there may be some minor imperfections in the surface - this is normal and an indication that the item you are receiving is genuine (not imitation) leather. One of the perks of being real leather is that as they age, these pieces will develop a lovely natural patina. As these mouse pads are made to order, they may be slightly stiff or curly at the edges at times (recently cut, thick leather can do this). This can also happen if the mouse pad is rolled up or stored in an odd way inside a computer bag, purse, etc. Don't worry however, each piece will naturally "relax" and become flat again. To help with presentation as gifts, we ship each mouse pad flat and gift wrapped so it looks great when it arrives. So cute and lovely quality. The shape makes a lot of sense given how you use a mouse and the pad is quite large. Perfect! Black mat with personalisation. Absolutely perfect present for my husband on our third wedding anniversary. Service from the vendor was exceptional! 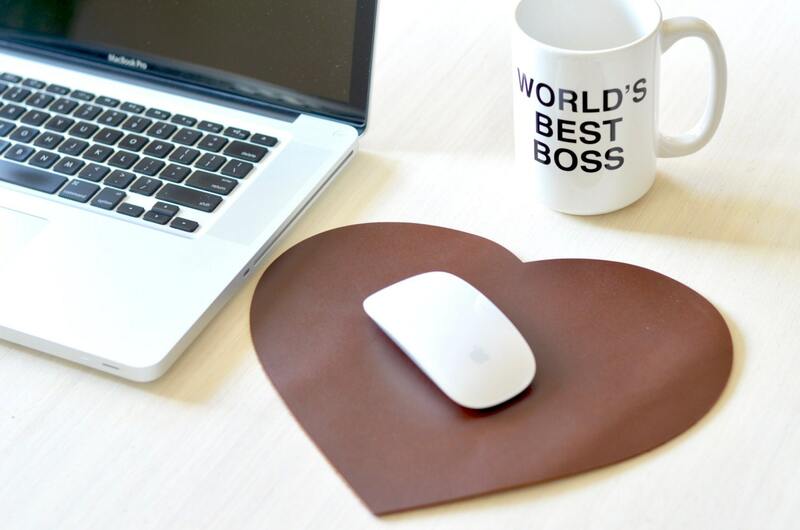 Love the chocolate brown mouse pad. It is beautiful on the website; gorgeous in person!! Received the pad quickly and beautifully packaged. Thank you!! !